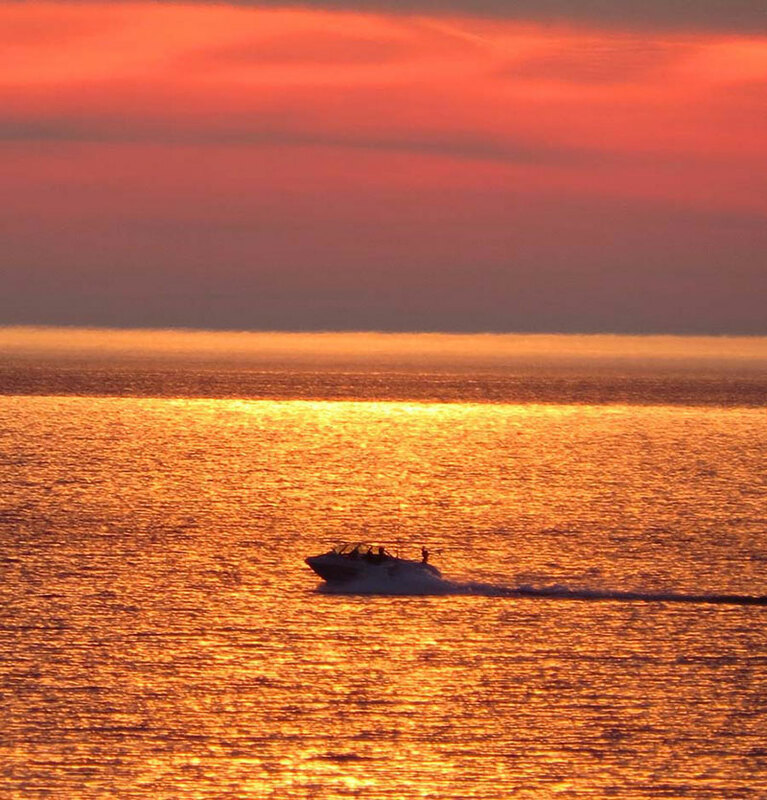 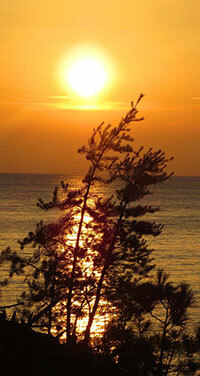 For this web page update I have selected some of my favorite sunset pictures. 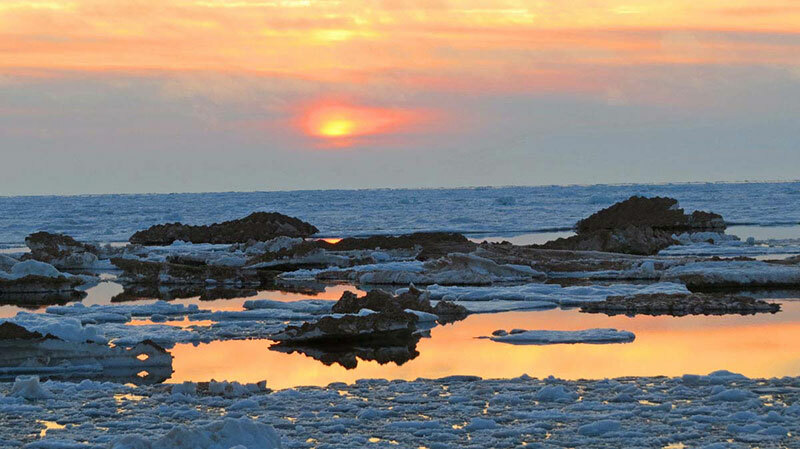 Beginning early spring, the sun sets far enough to the northwest that we finally get to see it peek out from behind Au Sable Point. 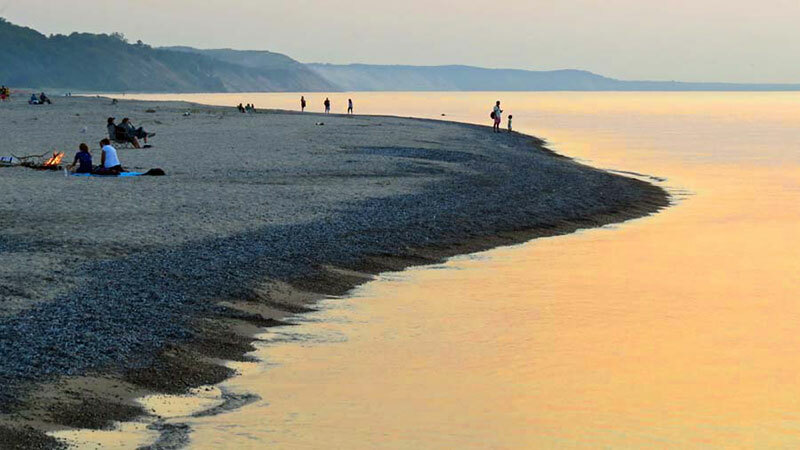 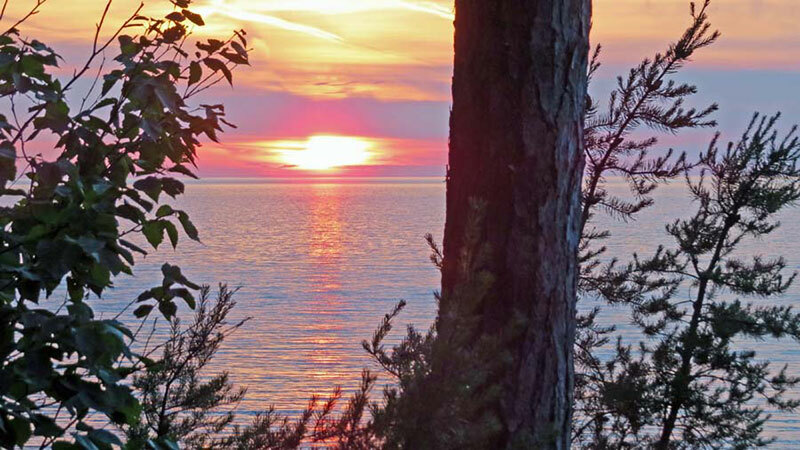 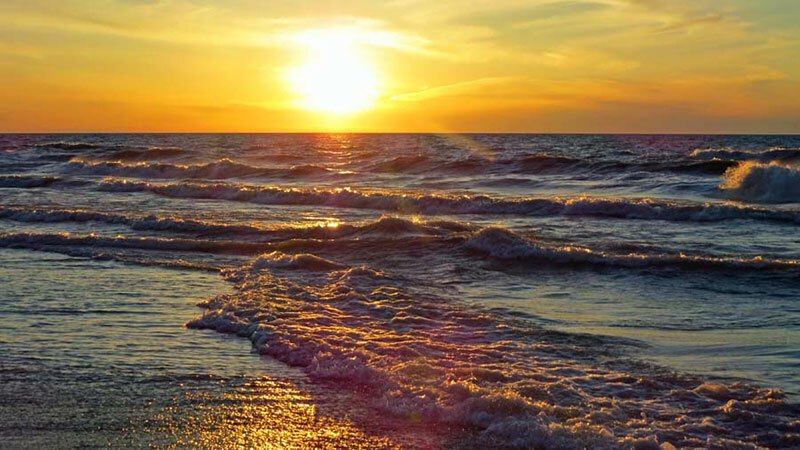 We can seemingly see the sun dip to the horizon until the sun again sets behind Au Sable Point in the fall. 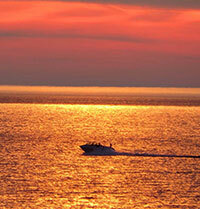 This year there was floating ice on the lake into June, so I was able to get some interesting sunset photos. Of course I have to include a beach photo. 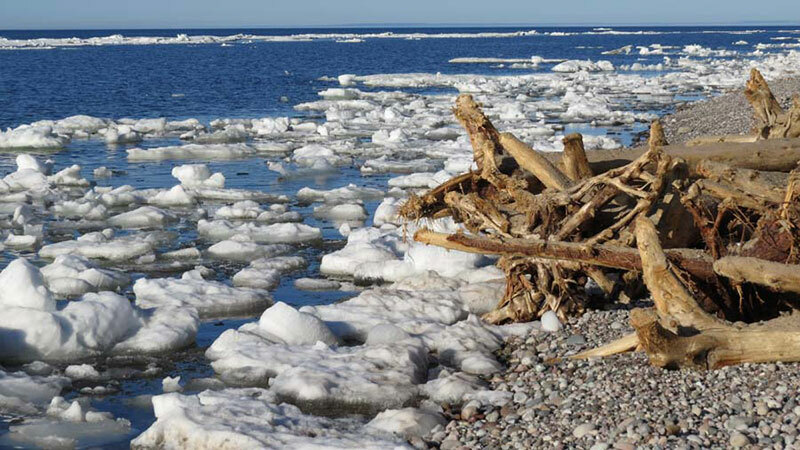 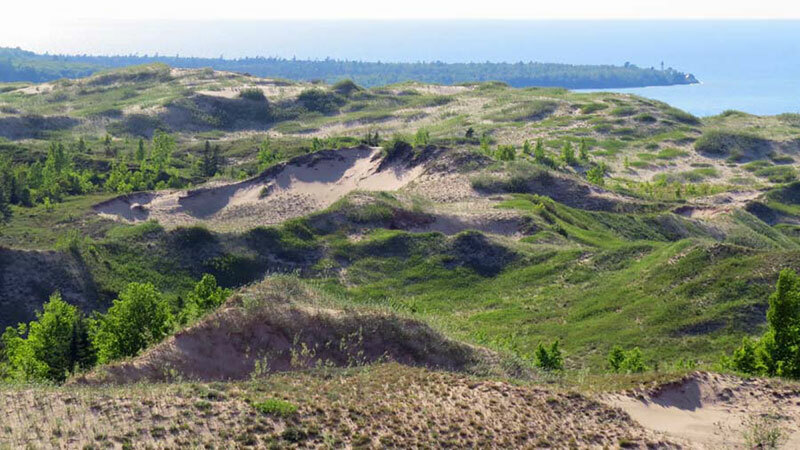 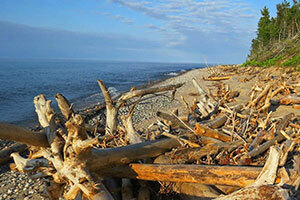 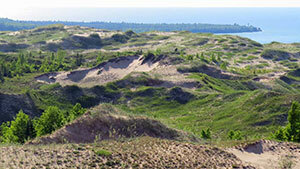 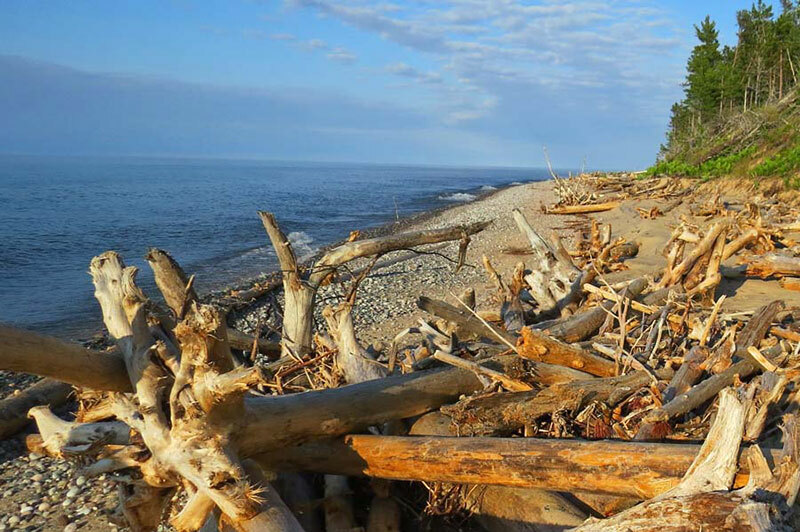 The picture below was taken around six miles east of Grand Marais.